There are some bands that just keep plugging away in the underground. 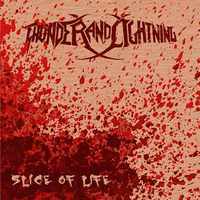 Germany’s Thunder and Lightning have been doing their thing for over ten years at this point, with a resume that includes 4 full-length albums and a few demos/EPs. Thunder and Lightning specializes in power metal, but have kept a harder and more modern edge to distinguish them from the rest of their peers. The combination of a metallic crunch with catchy melodic hooks have been a winning one for anyone who has come across their Bandcamp page. Their most recent effort, The Ages Will Turn, sees the band continue to do what they do best. As opposed to their previous release, it’s not conceptual in nature but still deals with different stories (effectively adorning the cover art as well). 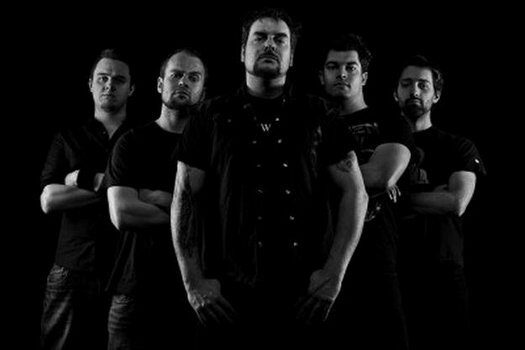 The band also tried a unique approach to releasing the album, releasing a track per month up to the release in December. Catching us up to speed is guitarist Marc Wüstenhagen, who delves into the concepts surrounding the release of the album and The Ages Will Turn itself. Dead Rhetoric: The band has been around for over ten years at this point. How do you feel you’ve changed over time? Marc Wüstenhagen: We definitely developed a more modern sound over the years. These days my main goal is always to write songs that have something memorable in them. It could be something like certain hooklines, guitar melodies or even drumbeats. 10 years ago it was more about writing songs like our favorite bands did; today I do the opposite. I want to write songs that my favorite bands never wrote. Dead Rhetoric: Do you feel that some people may have a pre-conceived notion about how the band might sound, due to you being from Germany and playing power metal? Wüstenhagen: Maybe, but I don’t worry too much about it. I know it’s a superficial world we live in, but people can think what they want. If our band name or our home country makes you not want to listen to us, so be it. Dead Rhetoric: You released a video per month before The Ages Will Turn was released. Where’d the idea come from to try this approach? Wüstenhagen: It comes from the idea that in times of widespread social media you need to be seen consistently over a longer period of time to make an impact. That concept is called “top of mind” in marketing terms. I am always a proponent for trying new strategies that fit more with the modern way of exploring new bands. Since we are not aiming for a chart position anyway, for which we would need a lot of sales in that one release week, why not spread awareness over several months to get more ears to listen to your music? Dead Rhetoric: Do you feel that the approach worked in terms of generating interest before the album’s release? Wüstenhagen: It definitely did. We even sold a lot of the older albums too before the release of the new one, because people who discovered us through our monthly songs wanted something to listen to from us until then. Dead Rhetoric: Was there anything specific that you wanted to accomplish with this album, being that was your fourth full-length release? Wüstenhagen: We wanted to see if we could do the monthly song thing mainly. I wanted to see if it was possible to write and record this stuff in a shorter timeframe. So maybe we could roll out new songs more like a TV show rolls out episodes in the future. Dead Rhetoric: How did the collaborations with Máté Bodor and Der Schulz? Wüstenhagen: I knew Máté from Alestorm before he even joined Alestorm. Two years ago I recorded drums with Christian Bass (Heaven Shall Burn) for Máté’s sideproject All But One. I just sent him the song and asked if he wanted to do a guest solo. A couple of days later he sent his solo back to me. Done. It was awesome work from Máté. The guest vocals of Der Schulz came about in September when I recorded his band Unzucht at my studio. When we were finishing up his vocals for the Unzucht album and when we just hung out I had the idea for him to try to sing a couple of lines of a new song I was working on. The mic was already set up, so it didn’t take more than 20 minutes and worked out perfectly. Dead Rhetoric: Could you go into what thoughts went into the album’s artwork? Dead Rhetoric: As opposed to the conceptual In Charge of the Scythe, The Ages Will Turn has a number of different themes and influences. Where did the ideas come from for this album? Wüstenhagen: All the songs are based on urban myths, modern fairytales and the idea that all the stories we tell each other are surviving many centuries. Hopefully these modern ones will too. 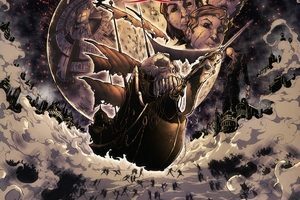 The title track is about the never changing wrath of war in our world and how it has also survived many centuries sadly. Dead Rhetoric: Would you consider doing another conceptual album in the future? Wüstenhagen: Of course, I like a good story arc that connects the songs. Feels like a season of your favorite TV show. Dead Rhetoric: Do you wish to continue independently or are you seeking a label at this point? Wüstenhagen: If the label does more than just distribute the music, yes. If not then we better stay on our own, because getting your music on all the platforms is neither expensive nor hard to do today. Dead Rhetoric: How do you feel the music market has changed since the band’s beginnings? Wüstenhagen: Yes it has changed, and social media and the internet in general play a much bigger role in marketing your music today. Print media is dying a slow death and YouTube has become the number one place to search for the new bands you just discovered. Dead Rhetoric: What’s in the works for the next few months in Thunder and Lightning? Wüstenhagen: We will release a cover song and more live tracks from our release show in December, and of course continue playing [shows].